Brady, I didn't get to read the whole article, but my question is, is the worker available if we are hosting our app on a dedicated server and NOT Azure? Secondly, what's the difference between Worker service and the product called "HangFire"? Do they both accomplish the same thing? If yes, is it better to use yours for long scheduling jobs that is is running 24/7? Yes, Ben, you can totally use the Worker template "outside of Azure." 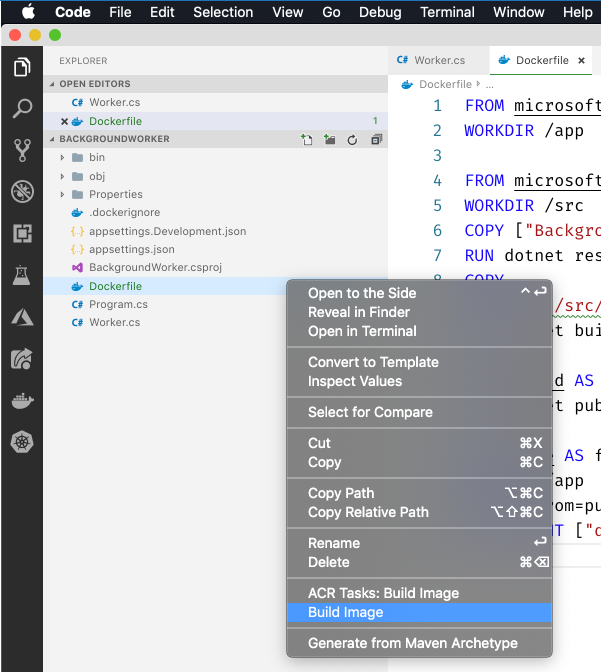 Glenn wrote a fantastic blog last week on a key non-cloud scenario for the Worker project - you can use these to build Windows services, too. So they're "not just for cloud," but they sure do make microservice development easier, so they're great for cloud-native scenarios. Keep watching the blog, we have a few other use-cases on the horizon we'll be showing off for the Worker. Pardon me, as I missed the second question - I'm unfamiliar with HangFire. I'll mention HangFire to Glenn and investigate it myself. But unless Glenn is aware of it, the Worker and HangFire are mutually exclusive concepts. Hangfire existed long before the generic host and the worker template and is a valid alternative. It's much more feature rich. If anything I'd expect a future where more frameworks like hangfire re-plat on top of the generic host. The generic host is trying to be a low level building block for higher level frameworks like hangfire. Thanks David for clear answer. Hi, thanks for this article . I have one question though, when i read the ACI document, it was mentioned that it isbideal for scenarios where you run the applixation for some time and then shutdown the container as ACI charges per second. Then why someone will creates a always running worker in ACI ? You're right in that ACI charges per-second, so it isn't typically thought of as a host for forever-running containers. That said, the price of ACI instances have been reduced significantly so for some workloads it may be more attractive now. 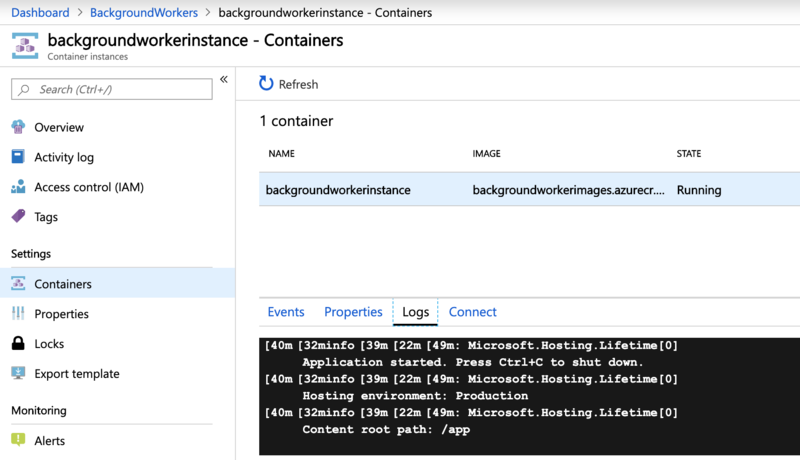 ACI is that it works great for not only testing one's containers out, but for scenarios in which you have some other "thing" - like scheduled CLI execution or a Logic App running on a recurrence - that would stop and start your instances. ACI billing begins at the time an image is pulled and runs until the container group is stopped, so one should take care to explicitly stop the container group - simply stopping/terminating the containers in the group isn't a complete shutdown of an ACI container group. 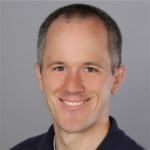 We'll have other articles on this site about options for running Workers - we've shown how to use them as Windows services and in container instances, but we'll have a few follow-up articles that will point out additional scenarios, like Kubernetes and deployment techniques using Azure DevOps. Kubernetes would arguably be a better place for an infinitely-running containerized Worker, but for those non-inifinite scenarios ACI is a convenient option. Thanks Brady for explaining well. Btw SF Mesh is also a good place for containers.